Thank you for coming to WE Con 2017! Be sure to stay connected by coming to our events. Registration opens at 8:30 a.m., and all programming ends by 5 p.m. Check this space soon for the complete program. Freedom's Daughters: From Ally to Co-conspirator For Us By Us: Women of Color Changing Birthing Outcomes Bilingual Yoga/Yoga en español Breathe! A New Moon Meditation Las Mujeres Trans También Somos Mujeres Buttons & Zines! Session 1 — 10–11:15 a.m. The workshop combines robotics with hands-on activities to teach participants the importance of maintaining their mental health. Participants will learn to program robots to follow a path upon which materials for the activities will be placed. Sample activities include creating anxiety jars and learning basic yoga moves. La presentación es completamente en español para mujeres de habla hispana que son primera generación de inmigrantes en los Estados Unidos. Nuestros cuerpos viven en los Estados Unidos, pero algunas veces, el corazón y nuestra mente se quedan sincronizados con nuestro país de origen. Amhiga Hispana, una organización sin fines de lucro establecida en Austin, tiene la misión de empoderar a las mujeres que aman a sus países de origen y comienzas a involucrarse cívicamente y emocionalmente en las comunidades que viven actualmente. Este taller ofrece información y actividades para empoderar y ayudar a desarrollar a las mujeres cívica, emocional, espiritual, física, intelectual, social y financieramente con mujeres con tus mismos intereses y con historias similares. Únete a nuestra conversación y aprende estrategias para estar completamente presente en tu nuevo país. You want to serve your community — and we want to help you do it. Choosing to run for public office is a big decision that may raise many questions like: How will I fit this in my life? How do I get started? What does a campaign look like? What can I do now to prepare to run for office sometime down the road? Connecting with your peers and hearing from experienced candidates and campaign staff will help you build the confidence, expertise and network to run a great campaign. Come learn more about how to best support LGBTQ+ identified young people in our community, including what parents can do to protect young people and support feelings of hope. We will provide you with information about gender identity and sexual orientation and further resources for learning and support. Interactive conversations and Q & A time will be included in this presentation! Austin’s local environmental news source, the Austin EcoNetwork, is proud to present its newest initiative — Civics 101. Civics 101 is designed to teach Austinites how to engage with and participate in local government. During this workshop, we’ll teach you everything you need to know to make a real difference in your local community, whether you care about the environment, affordable housing, social justice, or anything in between. Why Local Government Matters — How does local government actually affect my life? City Hall: A User’s Guide — How does our local government system work? 10 Ways to Get More Involved in Local Government — We’ll give you step-by-step instructions to make getting involved easy, even if you’ve never been inside City Hall before. Biggest Issues of 2017 — We’ll cover some of the major local political and eco issues of 2017, as well as explain how you can influence government policy. At this workshop, learn about the organizations helping people access abortion in Central Texas and how they seek to expand the conversation from choice to liberation. Workshop participants will explore their own values and learn how abortion access fits with other social justice work. We will also begin to build community by talking about how to support people having abortions, how to talk about abortion with people in their lives, and creative ways to show their support. Session 2 — 11:30 a.m.–12:45 p.m.
A Lion’s Voice is a creative writing activity to release the inner voice, thoughts, and feelings about what happens daily to families not considered "normal." This is a safe place to write and connect with others who are going through similar situations, whether facing violence, racism, or other struggles in their daily lives. Technology is everywhere and it is important to understand how it may be misused within the context of intimate partner violence. This training will focus on various technologies with an emphasis on strategies to promote survivor’s safer use of social media, phones, and other modalities. This Know Your Rights workshop will cover basic rights for individuals with or without legal documentation and interactions with the police and ICE agents. Presenters will also discuss briefly on the concepts of sanctuary cities and how recent local and national legislation affects immigrants of various backgrounds. Among all the bills you pay, what you owe to your future self should be among the first. By setting aside a small but steady amount of money, you'll have the power to reach your dreams. Learn the importance of savings, how to plan your spending to include savings, and some investment options. Nobody will take care of your money like you can. You just need some simple skills so you'll have the money you need to take care of yourself and your family. In a political climate where the federal and state governments are trying to pass bathroom and religious freedom bills and stir up an atmosphere of hate and fear it is more important than ever to be a strong ally and advocate for trans and gender non-binary communities. In this interactive workshop, we will explore ways to support trans and gender non-binary individuals as well as how to advocate against bad policy. We will also discuss practices, policies, and strategies that are supportive of trans and gender non-binary folks being able to have full access to public life and the ability to thrive. A collage making workshop where participants will be given the tools and guidance to make an original art piece intended for the purpose of self-healing through creative expression and affirmations. This workshop will allow for the space and time to reflect on an affirmation that can serve our self-healing and make an art piece that will aid in our healing path. Supplies provided. Session 3 — 2–3:15 p.m.
Make a button and zine to fit your unique personality. Zines are historically modes of self-expression. Supplies provided. Un panel donde las voces de mujeres trans muestran sus narrativas de vida y las semejantes con la vida de una mujer cisgénero. Las mujeres van a hablar sobre las desventajas del género, la misoginia, la misotrans (el odio de personas trans), y la segregación hasta internalizada. Nosotras hemos crecido en una sociedad llena de ignorancia y de doble moral. La cultura influye en el aspecto patriarcal, donde la mujer somos solo el complemento de un hombre y también como mujeres trans solo somos parte del feminismo inclusivo y revolucionario. Breath, be, and pause with us for this moon meditation. We Con 2017 is just a few days away from the new moon, a time for releasing the old and claiming possibilities. This moon meditation combines guided relaxation, breathwork, and some gentle movement. Beginners and experienced meditators welcome. Grounded in social justice, our moon work together honors our collective self-care as central to social change. Take away tools for living with the moon. P.S. Trauma-conscious and queer affirming. We start with rhythm and an altar. Feel free to bring an instrument and something for the altar that represents the "new" for you. (You can take your altar item home.) To create a relaxing space, doors close 10 minutes after start time. This panel will address why white guilt is selfish and doesn’t help the movement, how we can move through the past and work together. People are the most valuable resources that can change the world. Attendees will learn how to identify their skills and experiences of and how their skill and experience is a viable resource. This session attendees will acknowledge their ability to utilize their experience and skill to improve the community. Discussions will range from addressing the privilege self-identifying women of Euro-centric cultural possess and how to use that privilege to assist systematically oppressed societies. As an organization that actively works to improve birth outcomes for both Black and Latina women in Austin, we’ll talk about our models of care for women of color. This past year, Texas made national news once again for having the highest maternal mortality rate in the “developed” world — disproportionately affecting Black women. The underlying culprit being tossed around —racism. Mama Sana Vibrant Woman programs culturally appropriate prenatal education, childbirth preparation, and birth companion. Mama Sana actively offsets the trends of racism and lack of access to quality and loving care for Black and Latina women in Austin while working together toward a just and loving world. What accommodations do you provide? WE Con 2017 is open to women, girls, femmes, genderqueer and non-binary people, and those who are interested in learning about issues affecting these communities in Austin and the surrounding areas. Even if you're not part of these communities, this is your chance to learn what you can do to support them. 2. What accommodations do you provide? WE Con offers complimentary childcare every year. We hire Mom's Best Friend, a local care provider service, to provide excellent childcare, and the ratio of child to care provider is relatively low. Spanish-English interpretation is available, and included with ticket costs. The ACC Eastview campus has entrances for people with disabilities. 3. What is new this year? This year we are introducing a networking hour at the end of the conference, from 3:15 - 5 pm. 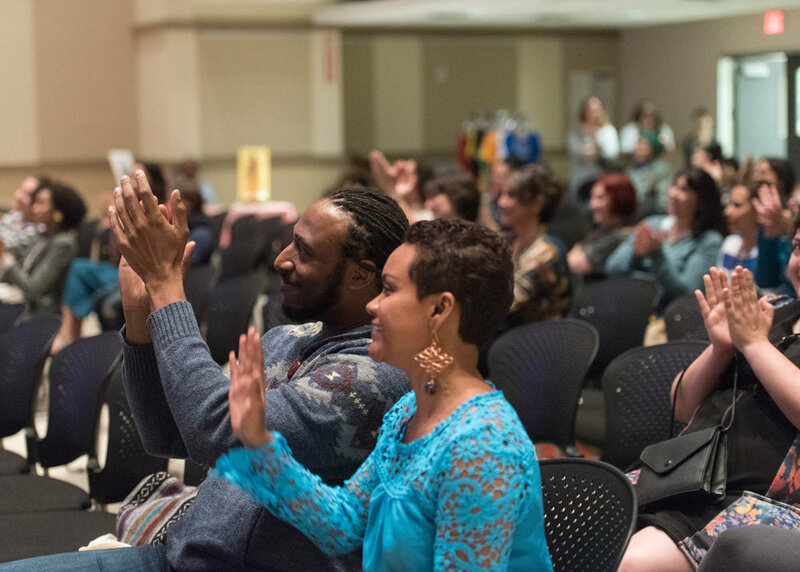 After a full day of workshops and panel, we invite you to stick around for drinks, conversation with new friends, the Resource Fair and Market, and an awards ceremony. 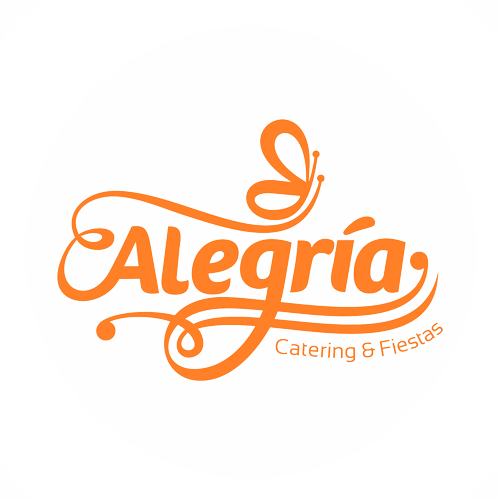 Buffet style lunch will be served by Alegria Catering, our generous sponsor this year. Breakfast snacks and beverages will be provided, as well as, an afternoon dessert and cocktail. 5. Where do I park? Parking is free! Yes, free parking in Austin is still a thing. There are two lots, Lot E and F, with plenty of space. Street parking is metered, and available on Webberville Road. Disabled parking is available in Lot G.The ADA accessible entrance to building 8000/8500 is on the Webberville side. Bike racks are located behind building 3000. Directly sponsor snacks and lunch, childcare, the cost of attendance, and Spanish-English interpreting services for all participants. Volunteers help make it possible for us to keep WE Con affordable to attend and it's a great way to get to know people and support the event. We would really appreciate your help! For future volunteer opportunities, email info@womenctx.org. WE Con brings great exposure to your business or organization, with an expected attendance of 250 people. The Resource Fair & Market is on Saturday, April 22, 2017, from 9 a.m. to 5 p.m., with setup at 8:30 a.m., at Austin Community College Eastview. We'd love to connect them to your resources!